The Atik 383L + features the Kodak KAF-8300 CCD. A huge amount has been written about this CCD to justify its place in astronomers' hearts. We can sum it up succinctly by saying that it's a fabulous CCD, with a huge number of good-sized pixels, and is currently available at an irresistible price. 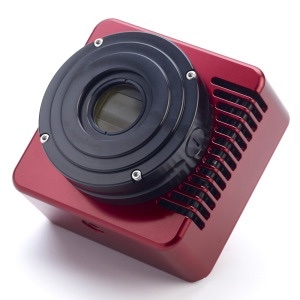 This sensor has redefined mid-range astro-imaging, making multi-megapixel cooled cameras much more accessible. Atik prides itself on providing cameras offering the very highest image quality at a reasonable cost. We see no reason to change. We have built on the success of our highly-regarded Atik 314 platform to support Kodak's KAF-8300. This immediately offers a huge number of advantages, including the very low read-noise circuits and the reliability of using this established design. Atik highly acclaimed Capture software is included for camera control and data acquisition, and plug-ins are included to allow use with Astroart and Maxim DL.